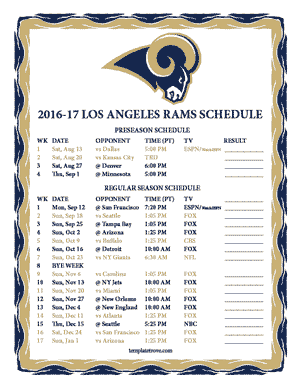 The Rams move from St. Louis to LA renew hope that they can improve on last year's 7-9 record. The Rams have not made the NFL Playoffs since 2004, which is an eight year hiatus. NFC West division competition includes the Arizona Cardinals, San Francisco 49ers and Seattle Seahawks. 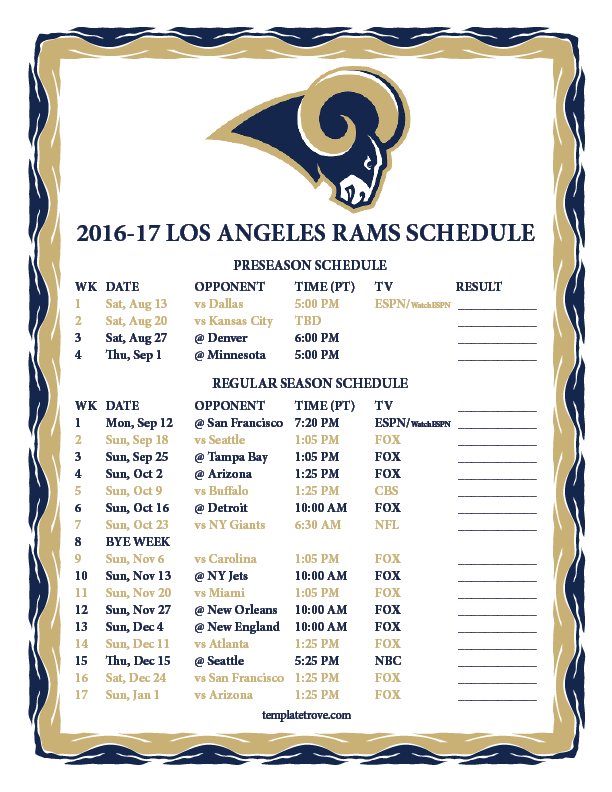 Prime time games for the Rams include week 1 Monday Night Football matchup at San Francisco and a Thursday tilt week 15 at Seattle. The Rams also play tough games week 9 at home verses the defending NFC Champion Carolina Panthers and at New England week 13.